Slack is a collaboration hub, where the right people and the right information come together, helping everyone get work done. Noelle KellyAre we still on track for the new offers? Noelle KellyAwesome. Happy to help with the rollout. 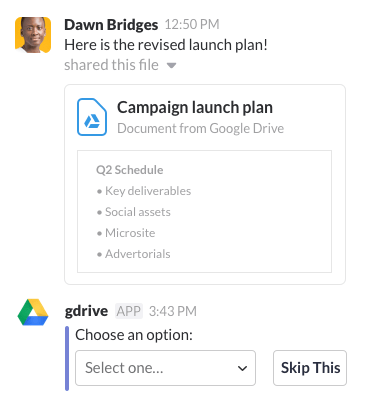 In Slack, conversations happen in channels — organized by topic, project, team, or whatever makes sense for your company. With channels, the right people don’t get left out and information doesn’t get lost. 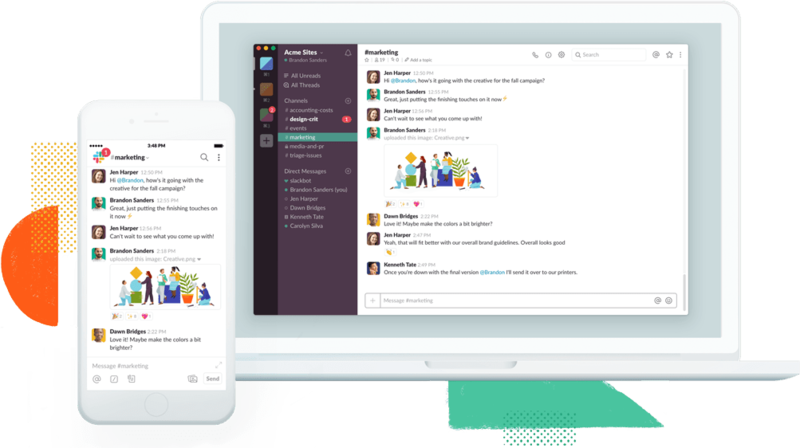 Slack integrates with the apps and services you and your team already use every day. Information flows into the stream of conversation so everyone can see it — or act on it — inside Slack. 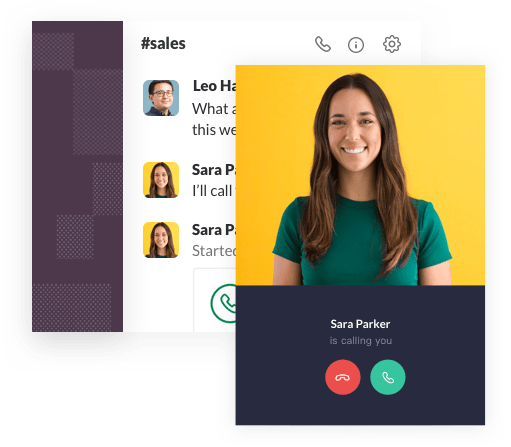 Voice calls and video calls built into Slack make it easier to work as effectively online as you do in person, and if you need to show your work, you can share your screen within a video call, too. Everything in public channels — including messages, files, and integrations — become searchable in Slack. Find what you need to get up to speed, catch up on past decisions, and tap into your company's collective knowledge. Space-age software development all in one place. Shared Channels has increased our ability to collaborate and the level of transparency. Reimagining online education and student engagement with Slack eCommerce platform deploys super bot to enable glitch-free purchases. Slack has provided the only true cross-company, many-to-many collaboration platform. We work across two floors so we have a physical gap—but we use Slack as a bridge to keep everyone in the loop. With e-commerce, the store is never closed. Slack helps us get together quickly when there are issues. Delighting home cooks and uniting global teams with Slack. 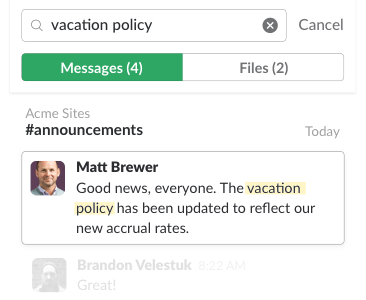 Travel site’s people-first culture inspires employee survey automation in Slack Mission-critical sales work at Lyft Business Space-age software development all in one place. Shared Channels has increased our ability to collaborate and the level of transparency. Reimagining online education and student engagement with Slack eCommerce platform deploys super bot to enable glitch-free purchases. Slack has provided the only true cross-company, many-to-many collaboration platform.